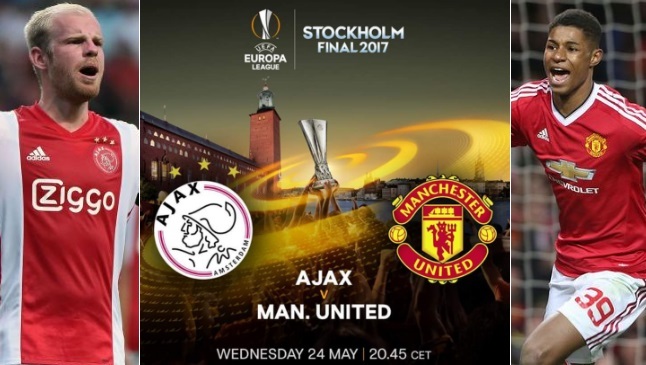 Manchester United are set to contest UEFA Europa League 2017 final against dutch side Ajax Amsterdam at Friends Arena in Stockholm on Wednesday night, 24th May 2017. United qualified for the final after seeing off the challenge from spanish side Celta Vigo in the semifinals while Ajax beat Olympic Lyon on their way to another European final for the first time since 1995. The tickets from UEFA are already sold out and fans can only get their hands on Final tickets through either respective clubs or through ticket exchange sites. 18′ 0 – 1 Paul Pogba scores with a deflected shot to give Manchester United an early lead in the final of 2017 Europa League. First half was pretty much a snooze fest with United sitting back and playing most of first 45 minutes on the counter. 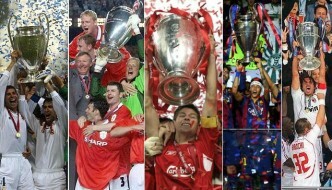 While Ajax struggle to create any meaningful chances. Manchester United vs Ajax Europa League 2017 Final: Mourinho has labled United’s final against Ajax as one of the most important games post Sir Alex era and they must win the Europea League to qualify for the Champions League and also get hands on the trophy they have never won before. Ajax on the other hand are already done with their league campaign and have 12 days rest before taking the field in the final which will give them slight advantage as United play as many as three premier league games before the big final. 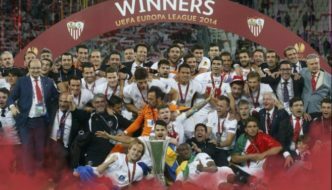 How to buy tickets for Europa League 2017 Final: UEFA did a ballot system for 10,000 tickets through their official website back in March 2017 and all the UEFA alloted tickets are sold out for 55,000 capacity Friends Arena, Stockholm stadium. However both finalist clubs will get 30% tickets each which they will sell through their official website most likely to official club members. 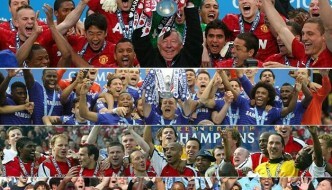 So if you were to buy tickets for the big final, you will either have to become official club member of either United or Ajax. Otherwise only choice you have is to get tickets through ticket exchange sites like Viagogo or ticketmaster. Manchester United made hard work of their semifinal assignment as they drew 1-1 at home and narrowly avoided defeat to book their place in the final. They need to up their game if they were to win the 2017 Europa League. Ajax also made it hard for themselves as they suffered a 3-1 defeat against Lyon but thanks to incredible first leg result where they registered a comfortable 4-1 win. The final will be played at around 20:45 CET / 19:45 uk time and BT Sports will have live coverage of the game in the United Kingdom. 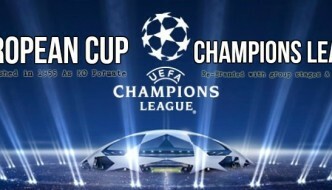 They might also broadcast the match live on their official youtube channel for UK viewers only. We will have more details closer to the game.